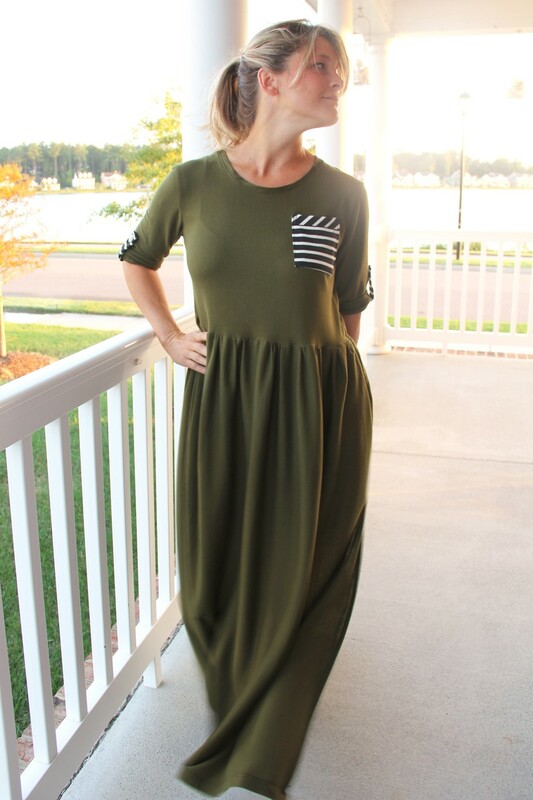 I have been wanting to sew myself another maxi dress for quite some time now, but kept stumbling on the style. I wanted it to be basic enough that I could wear it as an every day dress, but not so basic as to be utterly boring. Fall weather here in Virginia Beach can be quite unpredictable, one day it can be 85 and the next 60, so dressing appropriately for whatever Mother Nature throws at you can be tricky at times. 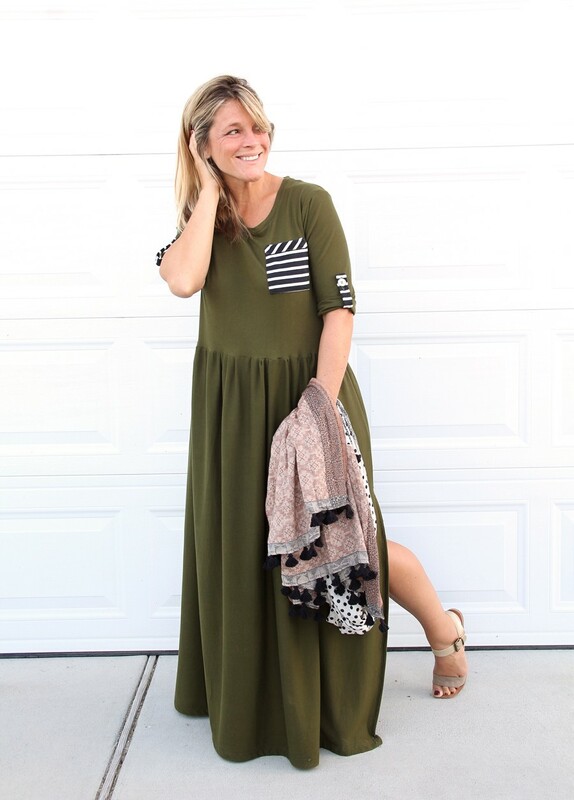 Add to that the fact that I am completely crushing on the colors rust and forest green, and trying to find those colors in the fabric store in proper textiles – well, I simply kept putting off making this maxi dress. 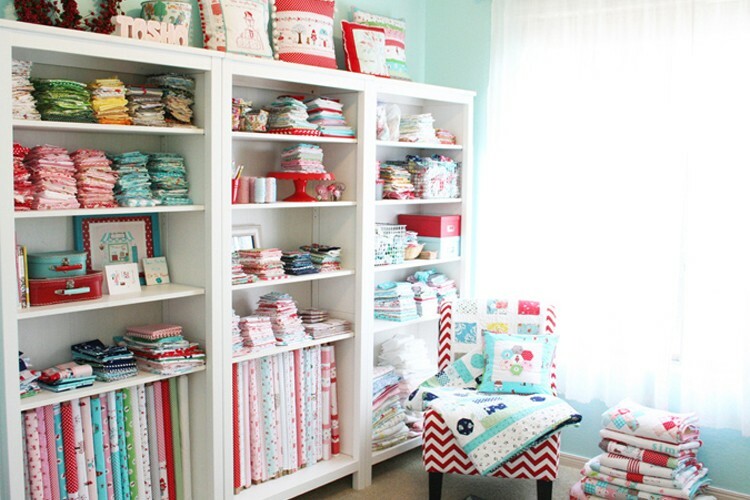 And then one day I was walking through Target’s bed linens section. There was the exact color knit fabric I wanted, in a decent weight for a maxi dress, under their jersey sheets section ON SALE. Ha! Talk about a total score. I picked up the Full sized bed sheet set, and brought it home with me. After that, the dress really came together while I was sewing, with the details sort of falling into place as I went. 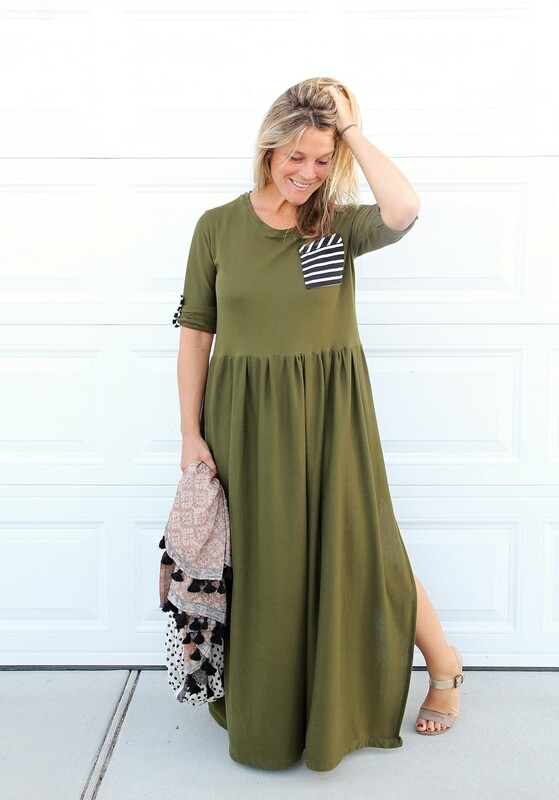 After going through the dresses in my closet, and looking at the styles I wore most frequently – I chose a basic loose fitting dress with gathered waist skirt. I knew I wanted a 3/4 sleeve, the tab sleeves were a last minute decision I made while sewing – which will help in the hotter temps. I kind of love little details like that. And the pocket works well to break up the monotony of forest green. 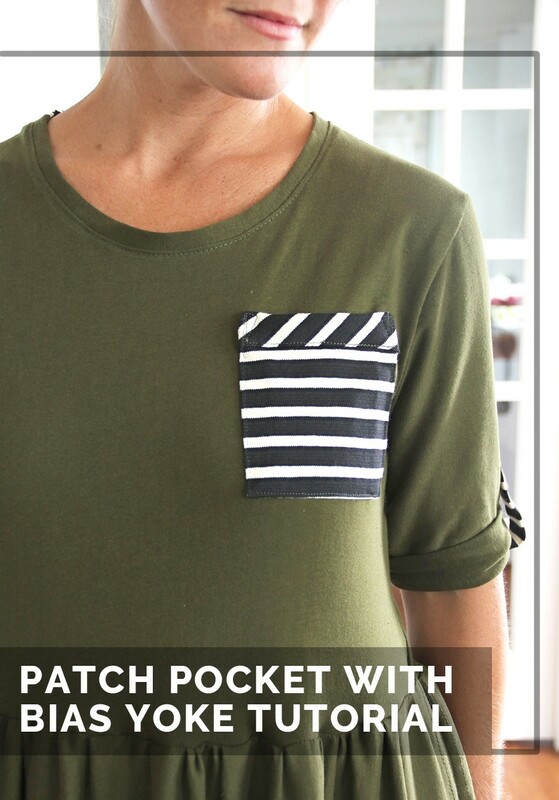 At first it was going to be a basic rectangle patch pocket, but then I started thinking of how awesome it would look if the stripes alternated along the top of the pocket…and well, that is what I will show you how to do today. 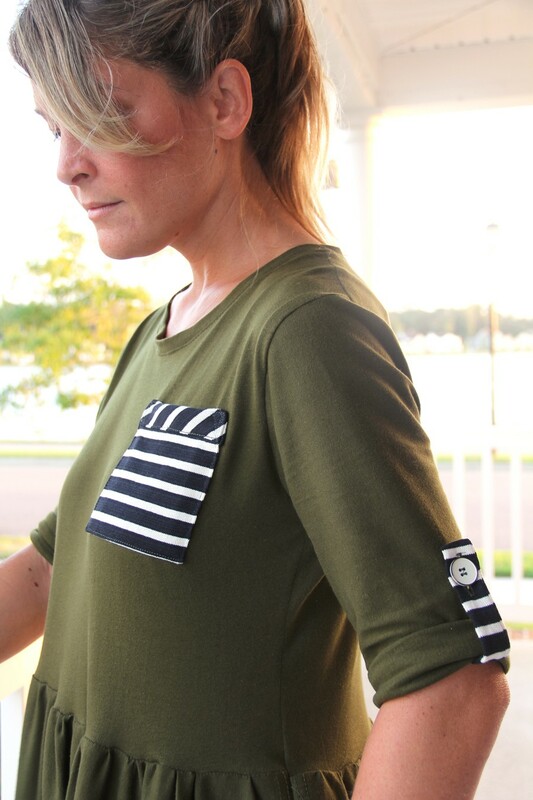 Make a classic rectangle patch pocket, with a bias top band / yoke. My favorite part of the dress? Its in one of the minor details that I added on as a whim, that you can’t really see very well. Its the neckline. I added a 2″ section of striped fabric along the shoulder of the bias neckline – and I absolutely love it. 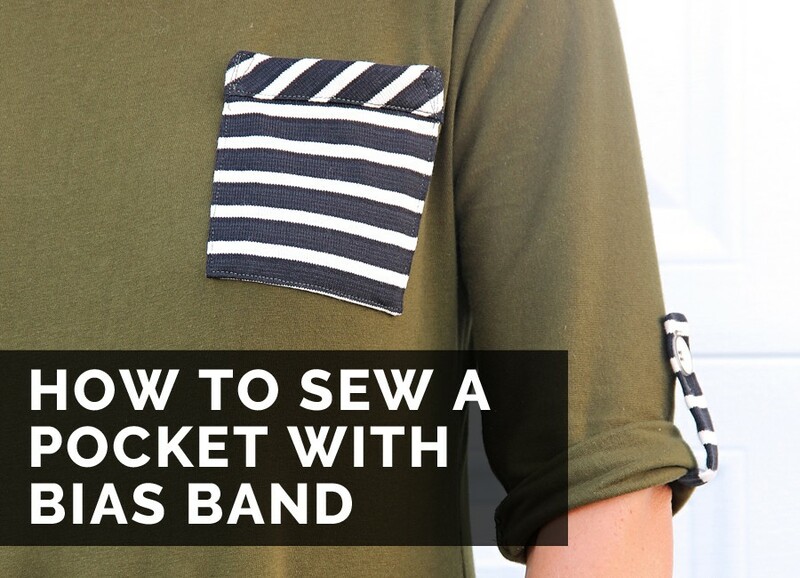 STEP ONE – Decide how large you want your pocket to be. 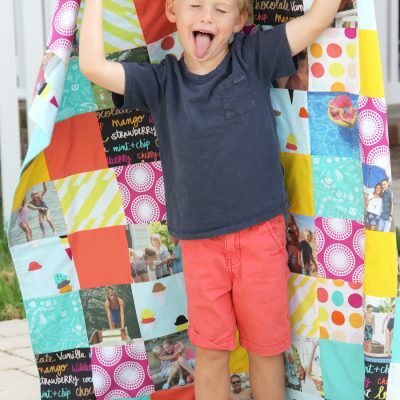 Add 1″ to the width, and 2″ to the length of your desired finished size. Cut (1) piece of fabric these measurements for your main pocket piece. 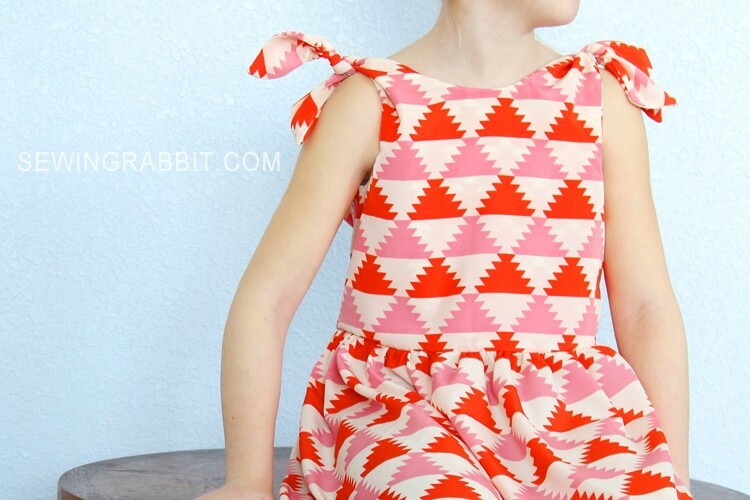 STEP TWO – Next you want to cut a piece of fabric on the BIAS of your main fabric. 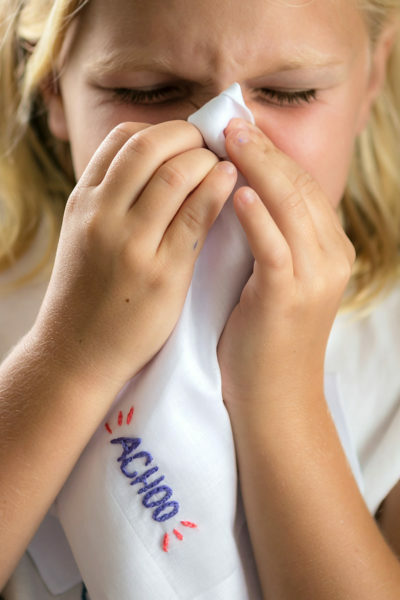 To determine the bias, use a ruler and compass to measure a 45 degree angle from the grain of your fabric. Many cutting boards have various degree angle lines running diagonally across them, which will include a 45 degree angle line. You can use these lines as your guide for cutting a proper strip of fabric along the bias. We want the strip to be 2.5″ wide, and the same width as your pocket piece. *I cut my bias strip slight larger, just to help differentiate between the 2 alternating fabrics a bit better for photo purposes. 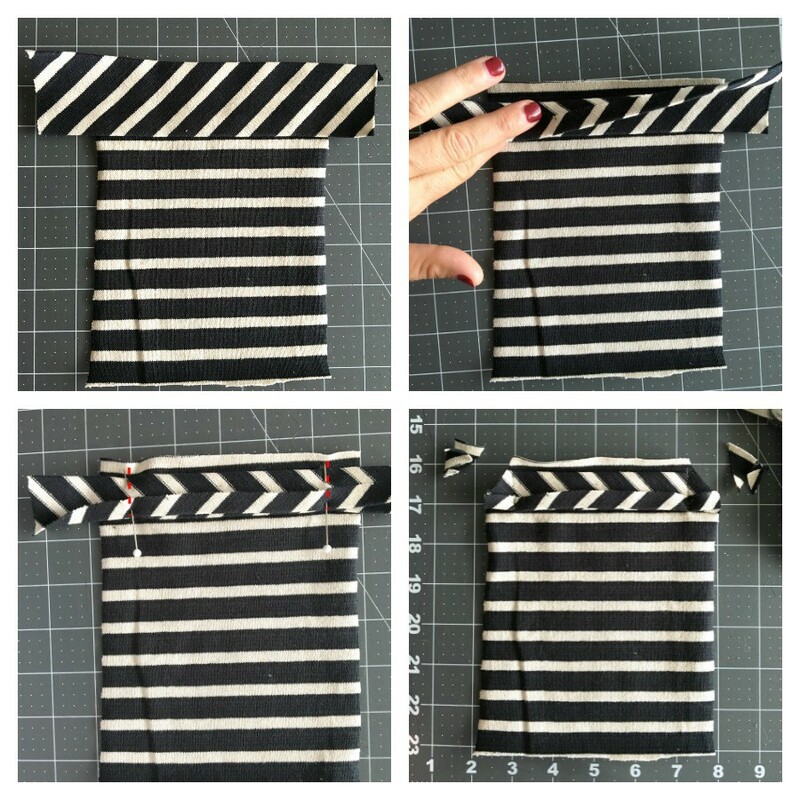 STEP THREE – Line up the bias strip along the top of the pocket. I like to do this before I start actually sewing, so that I Have a visual and can see the end result in my head prior to doing any further work. STEP FOUR – Fold the long side edges of your bias strip 1/4″ towards the wrong side and press. Fold again in half, enclosing the raw edge and press. Unfold. 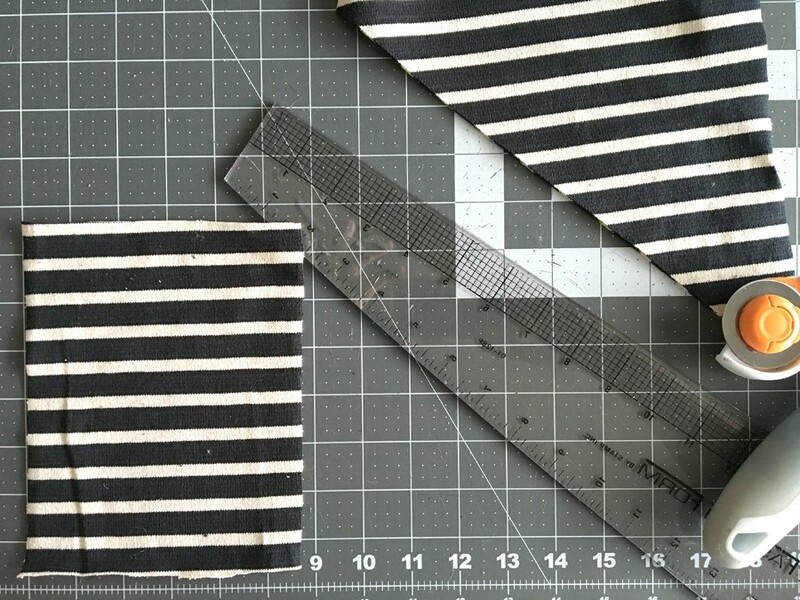 STEP FIVE – Measure 1″ down from the top of the pocket edge, and line up your 1/4″ folded bias strip line. Pin in place. 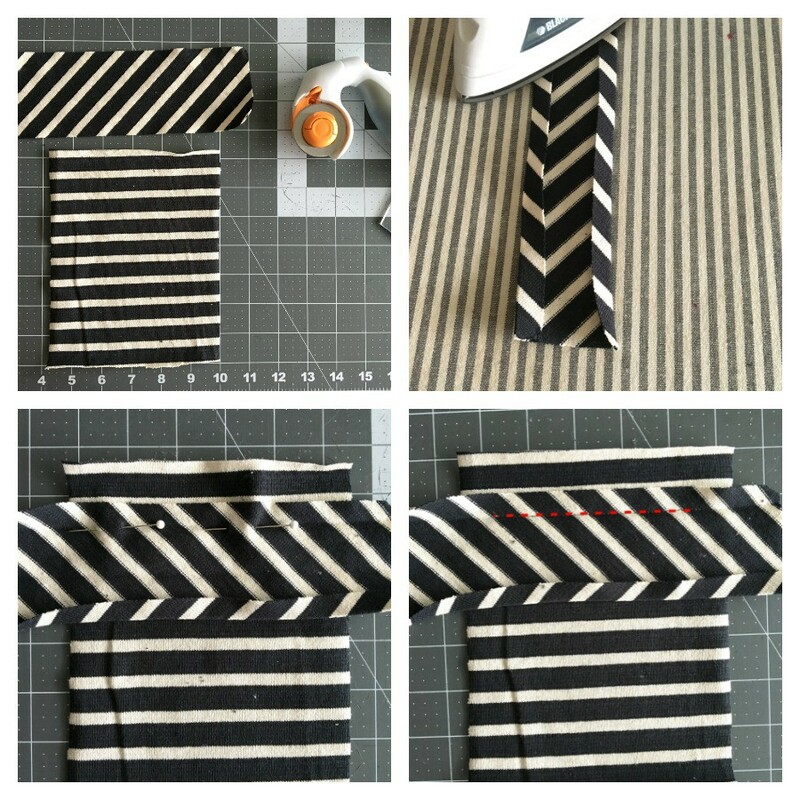 STEP SIX – Sew a straight line across, LEAVING 1/2″ ON BOTH SIDES OF THE STRAIGHT LINE NOT SEWN. STEP SEVEN – Fold the bias strip up, and press seam up. STEP EIGHT – Find the center fold line of your bias strip, and fold the bias strip back down using that center line as a guide. the top 1/4″ fold line should match up with the bottom bias seam. Pin in place along the side seams of the bias strip. STEP NINE – Sew the side seams on the bias strip and trim corners. STEP TEN – Turn the bias binding right side out, pushing out top pocket corners. 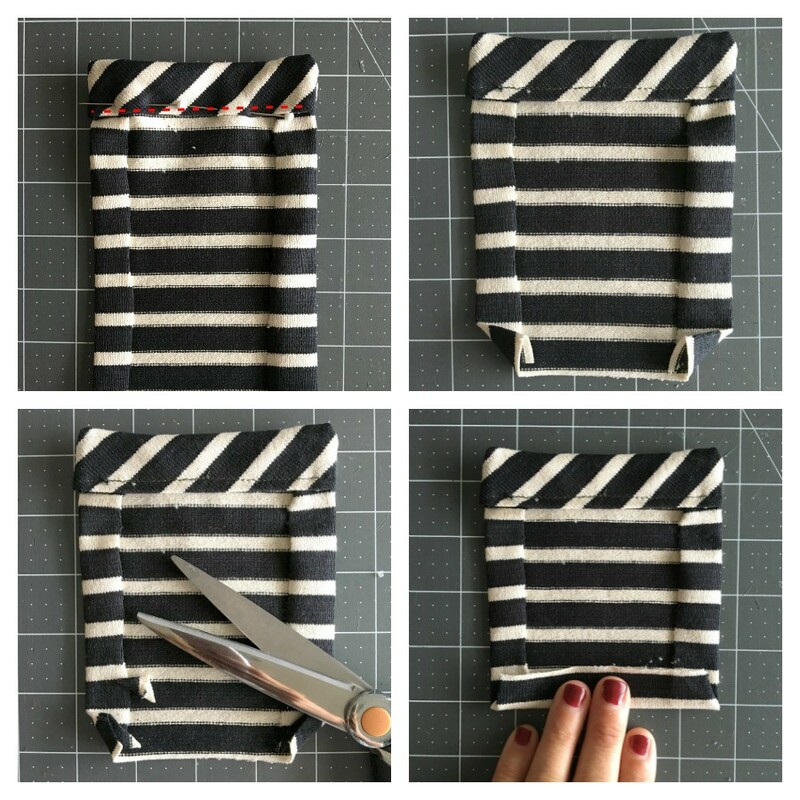 Press pocket side seams 1/2″ towards wrong side and press. Pin bottom of bias in place and sew across. STEP ELEVEN – Fold bottom pocket corners towards wrong side and press. STEP TWELVE – Trim excess seam allowance from bottom pocket corners. STEP THIRTEEN – Fold bottom pocket edge 1″ towards wrong side and press. 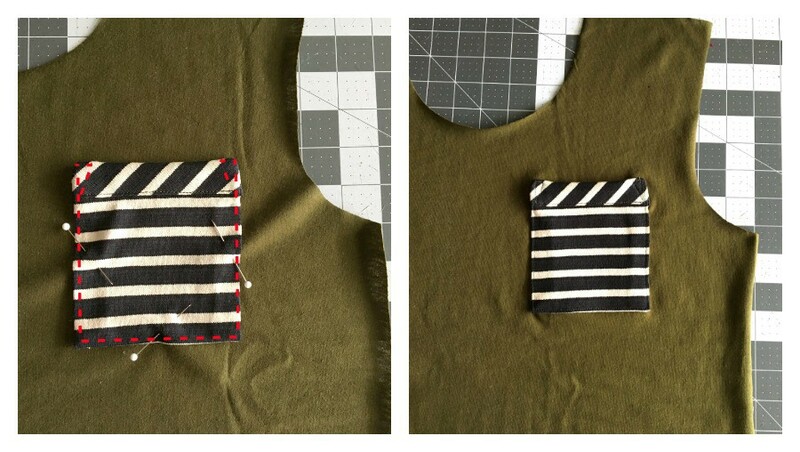 STEP FOURTEEN – Pin pocket onto bodice or shirt in desired position around the side and bottom edges. Sew to secure. Press when finished. 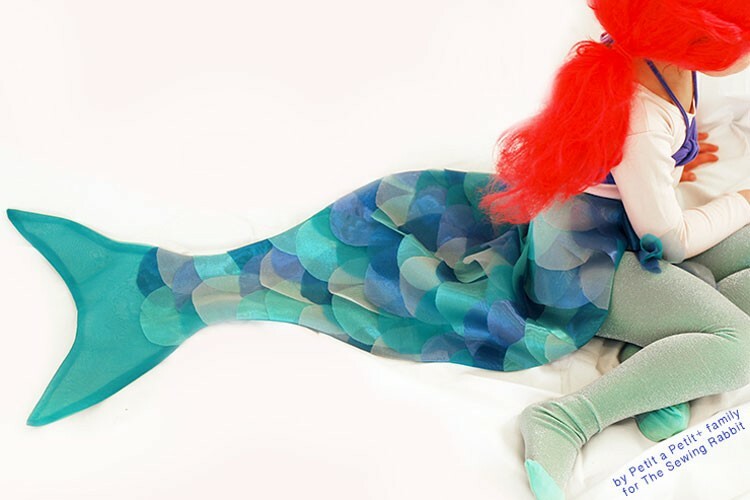 Sew dress as instructed, and you are finished!